The BSK will be repainted for the colors of the Turkish Government, in the same painting of the TC-TUR for example? Would Turkey President use the new Jumbo for the UN summit? Can they paint it fast? Any news or photos of 748 from the Turkish Government? The aircraft is now believed to be undergoing painting and modification at Turkish Technic's HABOM maintenance, repair and overhaul centre in Istanbul. Depending the special requests for additional modifications, this may take a while. Nice! Very good-looking livery on the 748 - fits its lines well. A quick question, I am a 747 lover but a noob when it comes to factories and production lines. So now in Everett you can only find the next one for UPS and the 2 US presidential ones? The 747 Final Assembly Line (FAL) is located in Everett, building 40-22. All new built 747's are assembled at that location. 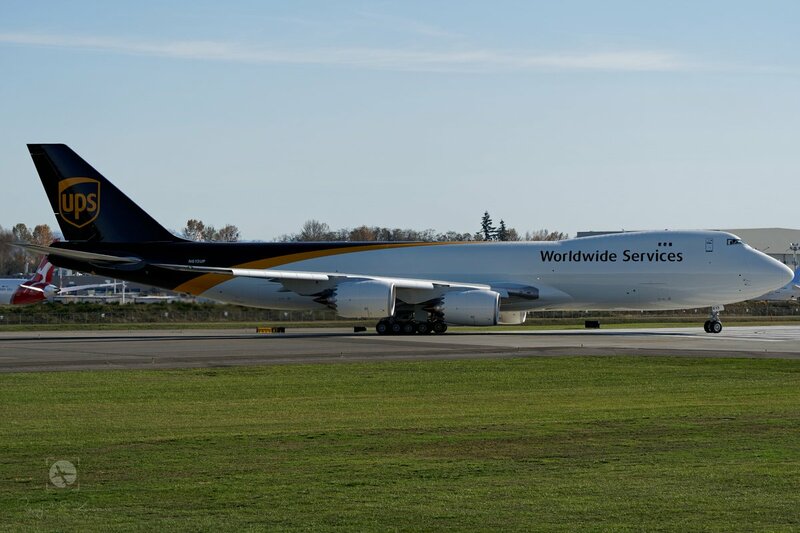 Presently only the last built for UPS (L/N 1550) can be observed at the flight line at Paine Field (Everett). 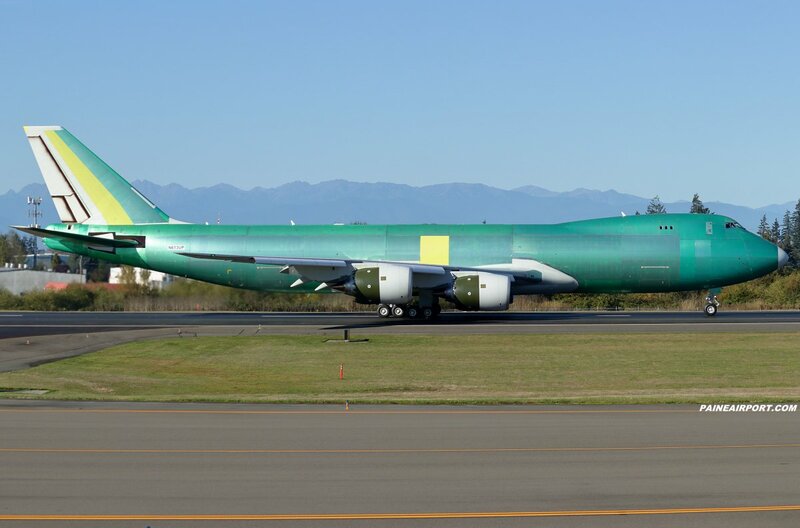 Both aircraft, with registrations N894BA and N895BA and earmarked to become US presidential 747-8's were ferried to Victorville (VCV) in February 2017 and stored, awaited the start of the AF1-modifiication program..
Any idea on when that is supposed to start? OK noted all...now i am fully updated! Kinda depressing for the FAL to see only 1 cargo but ok this is not the thread to discuss that. One last question...the storage at VCV won't degrade the planes? I mean they are there baked under the sun and all the rest weather conditions, for almost one and a half year allready. Not to forgret...Boeing as a company is still open for new orders, or the line slowly closes? I am refering to the -i version. Re: storage: no, places like VCV are the best, since the big issue with storing planes is dampness/humidity leading to corrosion. Metal doesn't care how hot it gets, but it does care how wet it gets! The big problem in VCV is that sunlight does degrade plastics. This is why you see the engines and nacelles are all wrapped in plastic. Maybe I missed it, but what's the status of ex-D-ABYE? Wasn't that flown to PAE? Is it still there? Engines and nacelles have lots of plastic components? I thought those parts were almost 99% made of metal. OK let's not get out of topic, thanx a lot guys, for the answers. Precious help to my silly questions. Edit: ex D-ABYE is stored in VCV, if i am not wrong, allthough i am not the best to inform you about that. The last mention of it on here was in replies #69 and 70 above. L/N 1435, ex Lufthansa, N828BA was flown to KPAE at July 28 2017. Stored at RW11/29 at November 20th 2017. Ferried to San Antonio (KSKF) at February 16th 2018. One engine was changed for testing of an improved GEnx engine with durability improvements. Ferried to San Antonio (KSKF) at March 11th. Test Engine was removed and standard GEnx engine was again installed. Ferried to Victorville (KVCV) at June 15th 2018. The aircraft is stored at Victorville and will probably be used for (flight) testing of modifications for the AF1 aircraft..
Last edited by 747classic on Tue Oct 09, 2018 7:09 pm, edited 1 time in total. L/N 1550, N613UP performed her first (B1) flight towards Moses Lake with callsign BOE538 at October 16th 2018. L/N 1550, N613UP was used for FAA certification testing of the Next Generation FMC block 0.4 software. N613UP, PAE, October 18th 2018. What updates was included in this new FMC software certification? No info received yet about the features of this latest software update for the Honeywell supplied 747-8 NGFMS. Perhaps after certification has been approved by the FAA, we will get some info, if the changes are significant. L/N 1550, N613UP was ferried to Portland (KPDX) for paint at October 19th 2018. 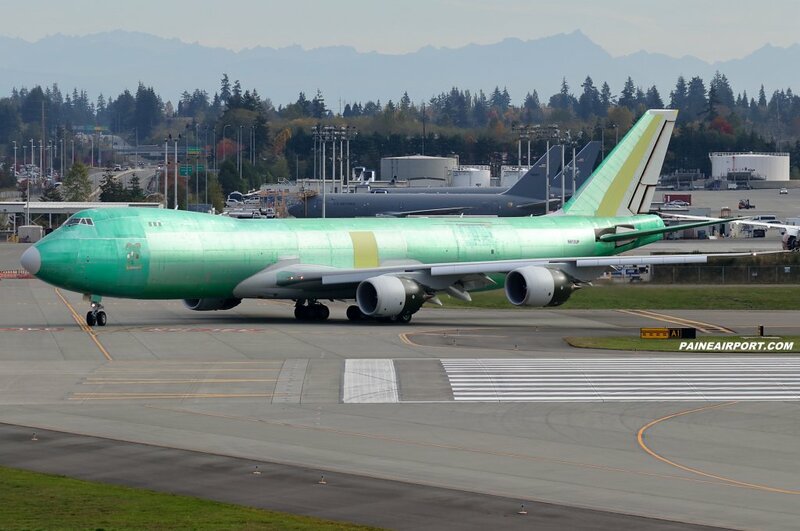 L/N 1550, N613UP for UPS returned at October 31th towards Paine Field after paint in Portland. Any news or photo of the 748BBJ A4O-HMS? Prediction of when will we see him finished? Perhaps a very stupid question if a customer wanted a nose loading 748F is it possible? All factory built 747-8F have the nose door. Please correct me if I'm wrong, but I don't think it's even an option to NOT have the nose door. If this is the wrong place .. I can move. Suppose someone, somewhere places a large order for 747's (i.e. the USAF orders for 40). How long would it take to increase the production rate, and what rate might they achieve? Ba's response was to advise the operator to "jump in the lake", or similar. If we go down the memory lane, and try to remember September, 2016, what do we see, as far as Boeing 747-8 program is concerned? Boeing has to write off some of the program value; it has to insource component production, as the production rate is so low -- as to have suppliers legally released from (unprofitable) low-rate component manufacturing. 747-8 line is gasping for breath, with whitetails on property, order list is getting desperately short, and cancellations loom; bit orders from ABC keep trickling, but nothing major is going on. The talk is openly about "how to stretch the line operations, until USAF orders presidential airplanes" -- as it was obvious -- after that, the line shuts down. Discussions are ongoing about nitty-gritties like "Secret Service providing security for the assembly line, while presidential airframes are being built -- and it's OK, as it's the end of the line". And then, somebody shows up, and asks you to commit to a rate increase? It would probably take a very major order (preferably multiple major orders) from a very serious customer (preferably multiple serious customers) and a genuine upswing in the market, for Boeing to commit. If none of the conditions were satisfied, "go jump in the lake" is probably a reasonably justified answer. Sounds like a loose-loose situation. If i was an airline ordering, hearing something like that would just made me to conclude our negotiations with a zero total of orders. There are roughly 225 747-400F/BCF/BDSF frames in operation. I think it's realistic to assume that half of them could be replaced cost-effectively by 747-8s over the next decade or so. (Others don't have high enough utilization to warrant new aircraft). Even if all of those orders do come in, it would only justify a small rate increase--maybe to 9 yearly frames instead of 6. 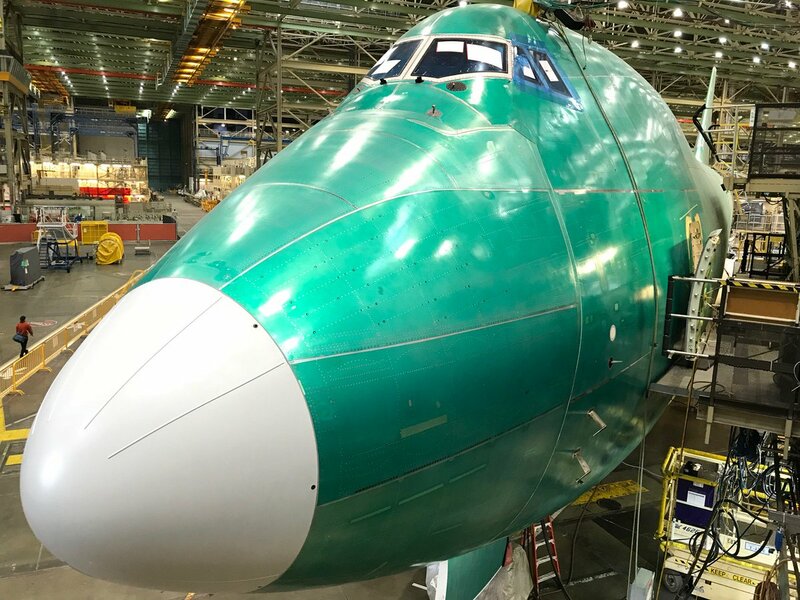 I think Boeing would have to have a commitment to build at least 50 freighters for delivery in the next 5-6 years, beyond what is already on order, to warrant a rate increase to 1/month. Not impossible, but doesn't seem like the most likely scenario either. Sounds like a loose-loose situation. If i was an airline ordering, hearing something like that would just made me to conclude our negotiations with a zero total of orders. It depends on how serious the customer was and what conditions they were expecting in their RFP, including pricing, financing, resale value guarantees and buy-back guarantees. Boeing's going to run the numbers and if the result looks like there is a good chance for the deal to make a minimal profit (or even an overall loss), then they are going to either decide not to respond to the RFP or respond with something with sufficient differences in terms as to make it unpalatable to the customer. L/N 1550, N613UP, PAE, landing after a Customer acceptance (C1) flight from Moses Lake, November 11th. Oh, it's not like you cannot place an order, it's that you cannot arbitrarily demand the manufacturer to expand production capacity, unless you have a really large order to place. Order book shows backlog of 20 orders from UPS, and 1 from Volga-Dnepr. One of those 20 UPS planes is already flying, and will be delivered this year. One more -- maybe delivered still this year, maybe early next year. VD plane is apparently being built as of now, and will be delivered next year. UPS has to receive all of their 19 before end of 2022, AFAIR. Buying airplanes is no quick task, couple of years before order and delivery are something fairly normal, correct? Bad scenario: no more orders. That means that the last of UPS airframes rolls of the assembly line in early 2022. From discussions here, some of the long-lead items need to be ordered years in advance. Let's say two years for some important stuff -- landing gear, body parts, etc. Program management, thus, has to hit "PANIC" button in early 2020. They are not in a position to entertain investing into a capacity expansion, unless "Show me the money" happens. Good scenario: somebody wants to order some 747-8. Before the end of 2022, there are still 4 free slots, at least, for new airplanes. 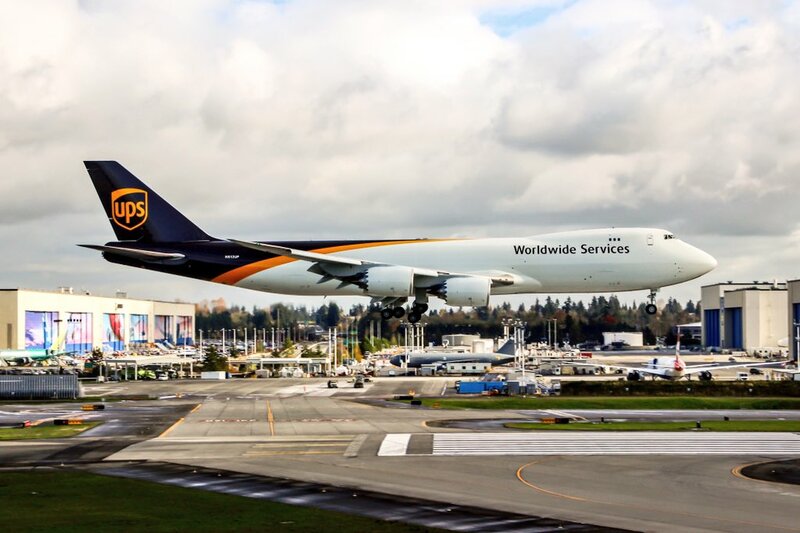 UPS, being the anchor customer by now, has shown themselves as understanding and accepting customer, when Boeing shoehorned competing orders between UPS deliveries. So, in principle, not only 4 (maybe 5) airframes can be bought by 2022 -- some of them, apparently, could be had earlier than 2022. What exactly would force a customer, in this situation, to walk away from a discussion? That a massive order cannot be accommodated immediately? No massive order can be accommodated immediately, generally. A large order can be accommodated, but somewhat gradually. Your scenario also shows, though, that if (for instance) a large customer approached Boeing and asked if 15 frames could be delivered by 2021, then something would have to give. Either Boeing would have to increase the rate quickly, or the customer would have to take later delivery. It seems plausible that it was not in the business interest of either party to do so. 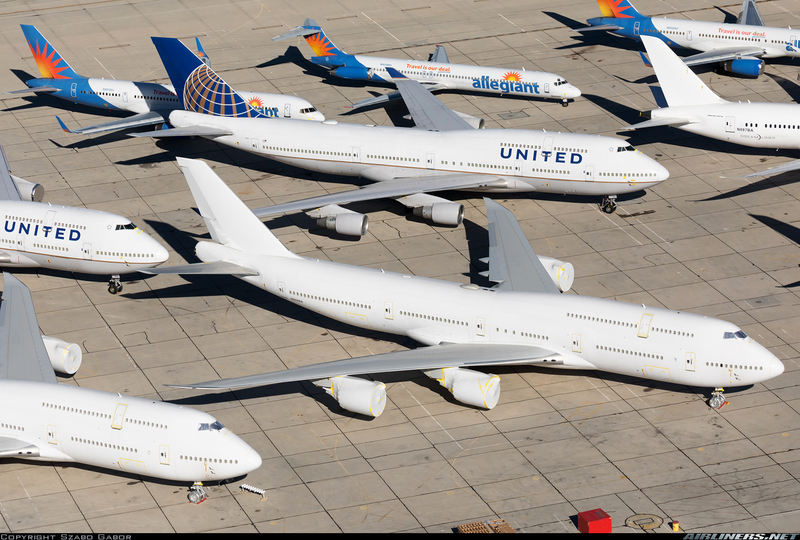 The UPS pictured above will be the last 747 for them this year. ABC is next but I don't think that will deliver before the end of the year. Oh, but large customers, in general, seem to be reasonable people; they do read newspapers and industry analytics. Requiring a supplier to deliver a two-and-a-half year's worth of production, in three years, is an unreasonable request on their part, don't you think? Especially considering that the product is built out of long lead-time components. Long story short, program priority now would rather be to prevent entering wind-down, and continue steadily churning out airplanes -- until either genuine upswing or final shutdown happen; not position itself for a last increase in production rate, followed by quick burnout and closure. Thanks. It makes sense. So, 20 orders altogether outstanding, as of January 1, 2019, correct? That means enough work approximately till early February 2022, at current rates. Not bad, but not too exciting either. Who would take 15 748s??? The market for VLAs is slow. But if this is the case, Silkway should be content with trickle deliveries. 15-20 after the UPS deliveries at 6 per year should suffice. No reason for a rate increase. Everything you said make sense, but totally fails to answer the question. The question is: How much and how fast could Boeing raise the production rate of the 747 if it had a reason to, while still being economically reasonable. You get to define reasonable. Some Boeing suppliers exercised put options to exit 748 work due to low volumes and prices (and 787 due to low prices). 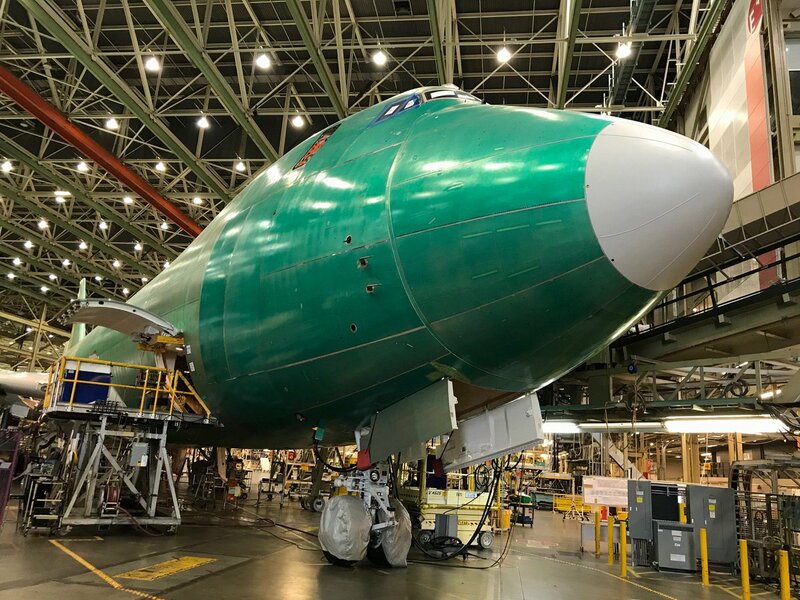 Boeing has enough issues juggling 748 and 787 work, notionally now in-house, to the extent some external contractors still have the work on new terms, without taking on additional 748 production. How much? If memory serves, they used to churn them out at a rate of 2 per month or so, from the same assembly line. At what expense (on hiring/training side in-house, and on hiring/training side + investments along the supply chain)? Good question, somebody deep inside Boeing must have been performing these paper exercises, just to know their own capability; same people apparently have some idea about the time needed. Whether they are free to share this information -- is another good question. There are also still potentially 13 (with 1 already in the FAL) for Volga/ABC that were part of the MoU back in 2015. To date, those have been ordered and added piecemeal, and I suppose that would continue if they are going to keep going with this. I wonder then if there must be provisions with UPS to be flexible with delivery dates in case items like this come up. I recall in the past also that Cargolux was interested in more -8Fs, but in the short term were looking at re-activating older frames first.